Check out these brand new Bear Grylls Adventures books from Bear Grylls himself! Find out more and get the books below! He’s climbed Mount Everest, the tallest mountain in the world, he’s led expeditions to the Arctic and Antarctic, he’s crossed oceans, and he’s set tonnes of world records! 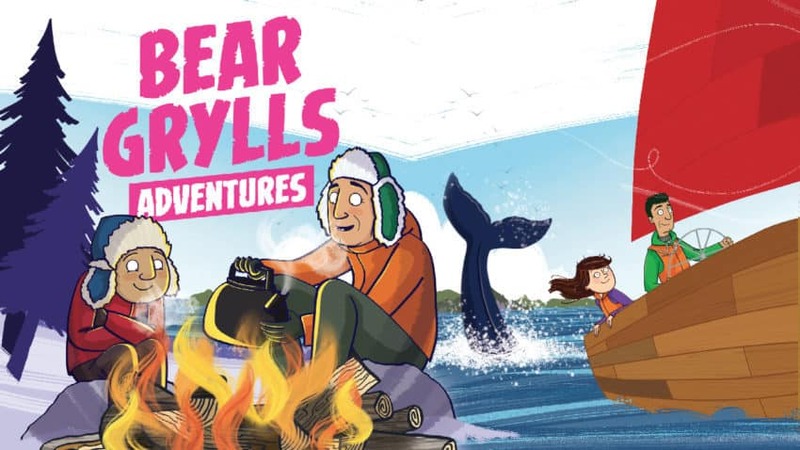 You might also know that Bear Grylls has written his own book series called Bear Grylls Adventures – and we’re here to tell you that there are two brand new books in the series. Each book follows a different person from the outdoor activity camp that Bear helps run. Once they are given Bear’s magical compass, they meet the adventurer in an amazing place and learn new skills and facts they can take with them back to their real life! In the 11th book, The Arctic Challenge, Joe has a big problem with remembering directions and following instructions. Click here to get The Arctic Challenge! The twelfth book is called The Sailing Challenge and follows a girl called Mia. She loves to take charge and be a leader – she’s not lacking in confidence and throws herself into every experience, but she’s terrible at taking a back seat and letting others have their say! Can Bear show Mia the importance of teamwork and how dangerous the ocean can be if the captain doesn’t have a crew who will work together? Click here to get The Sailing Challenge!